Color Dreams attempts to copy a classic arcade game (NARC), but once again, their ineptitude at game design overshadows their efforts and prevents it from being any fun. 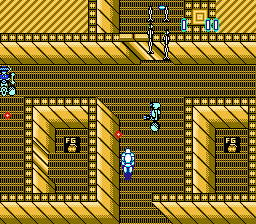 Every enemy you encounter takes multiple hits to kill, sound effects are harsh and ear-piercing, it has that infamous random-note music that seems to permate a lot of terrible NES titles. But the worst thing of all are its unintuitive controls - rather than simply moving up and down when one presses up or down, you move diagonally parallel to the lines on the ground. Which doesn't sound bad at first, but the frustration quickly rises when you try to line up a shot on an enemy and end up waltzing right into a landmine for an instant kill, or just get clipped into another enemy's sprite and watch your health deplete at a staggering rate. Trust me, it's not fun. If you want to play a good game in this style, then do yourself a favor and play NARC instead; you'll have a much better time. Another game that probably suckered more than a few gamers in, particularly with its absolutely metal box art and aesthetic that overall resembles a classic arcade game (Gauntlet). Then you learn that American Video published it, and, well, it's all downhill from there. Deathbots is a terminally repetitive, slow-paced series of endless shootouts with identical, plodding robotic enemies, with each and every one of them taking multiple hits to put down. Worst, the game sees fit to limit the amount of ammo any given weapon you carry can hold, forcing you to frequently run around with no way to fight back until you find some more weapons to use. 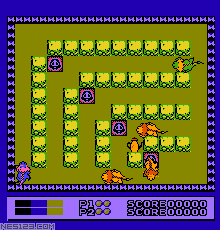 Enemies also attack in such huge numbers and with such persistence that just one room can drain more than half your life bar, to say nothing of the rest of the stage you have to slog through. Conceptually awesome but terribly executed, Robodemons is a complete waste. Just play the game it obviously draws its inspiration from and forget this crap. 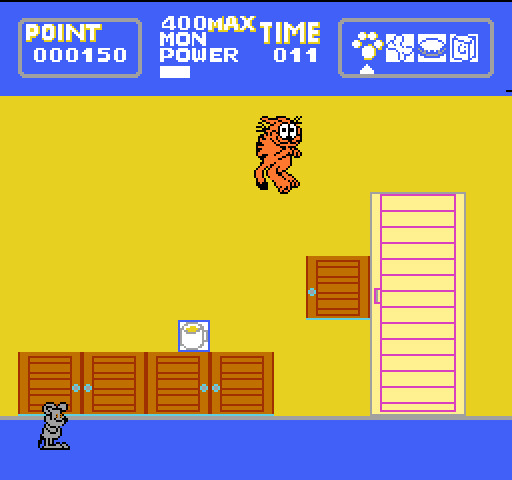 Based on a Fox cartoon from the early 1990s that I recall honestly being pretty good, but as with most licensed properties, its leap to the realm of gaming was... lacking, to say the least. The level design is thoughtless and generic (and even recycles several stages wholesale just to make the game longer) and you can lose all of your health in an instant thanks to the lack of post-hit invulnerability and the fact that enemies will literally drop from the sky with absolutely no warning to get at you, or have a long-ranged attack that all but requires you to take several hits in order to get in close enough to attack them. You do at least have Pan's power of flight, but controlling it is awkward and unintuitive - you must hold Up and then press A, which causes you'll continuously move in one direction until you press a different one. Oh, and you only have a limited supply of flight power and you can't attack at all until you've landed again. 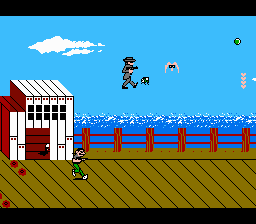 And of course, no bad NES game is complete without short, annoying songs on a constant loop throughout the entire adventure. Just another lousy, uninspired licensed cash-in. Spider-Man is a character that lends himself well to video games - swinging on webs, fighting bad guys with acrobatics and web-powers, and of course having a colorful cast of villains who all prove to be a worthy match for him in spite of his abilities. Unfortunately, Bits Software botched that up when it came time to make an NES game, and in that regard, the main problem is the controls. They tried to give Spidey all of his familiar abilities, but on a controller with only two buttons, they did it in just about the most asinine way possible. That means that swinging on webs, punching enemies, performing jump kicks, throwing web balls, and doing various heights of jump are all mapped to two buttons, and controlling it is a frustrating ordeal of figuring out what pattern and length of time you need to tap buttons in to do each move (and not forget it in the heat of the moment when batting foes). Then you consider that the game gives you one life, one health bar, one continue and no way to recover energy (not even finishing a stage causes it to be refilled), and you have a perfect example of how not to handle a superhero game. The NES certainly had a lot of mediocre-to-awful wrestling games, but Tag Team Pro Wrestling is arguably the worst of them all. 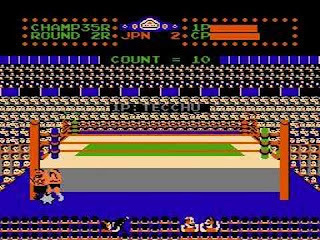 Each and every hit you land in this game (assuming you can land any owing to the crummy hit detection) brings up a prompt to attack, and, depending on the number of times you press the B button during that three-count, you do one of your special moves. Much more intuitive than, say, using the D-pad and the attack button in tandem and actively taking part in the actions your character performs. 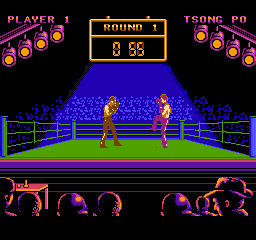 The tag team mechanic also works against the game rather than with it, as you can whittle your opponent down to virtually nothing, only to have him tag in his partner who is at full health, and while he's sitting on the sidelines, he's regaining health as well, causing matches to drag on for nearly forever. It all snowballs into a tedious experience that you barely play and can barely stand to sit through a single match of, let alone the 35 you need to complete the game. But, if nothing else, this game did at least bring us a pop culture icon in the form of Strong Bad. 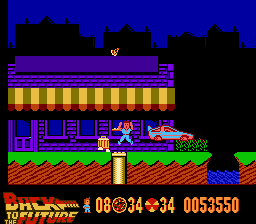 Best of the Best is a prime example of a game trying to do something a platform just isn't capable of - in this case, having realistic, fluid animation on its characters, something the limited capabilities of the NES did not lend themselves to at all. Still, they tried, and while the result is impressive in a way, it does not make for a particularly good game. Instead, the game just turns into a frustrating affair of throwing dozens of punches and kicks and hoping in vain they hit your opponent before you get hit yourself, with absolutely no indication as to where either character is vulnerable and where their attacks can theoretically land. 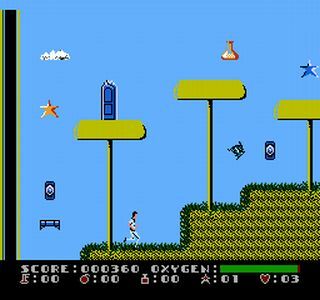 Even Flying Dragon and Flying Warriors - games which came out years prior - at least gave some indication as to your character's weak points and gave you options to avoid them. Characters also slowly regain health over the course of the match, which only makes for a more frustrating experience as you're seemingly unable to do any lasting damage at all. Best of the Best is a lousy fighter on every front, and seeing as Street Fighter 2 and Mortal Kombat were already out at the time of its release, I doubt much of its target audience would have been clamoring to play it anyway. Tagin' Dragon sounds like a simple enough concept on paper - the player controls a dragon and defeats other dragons by biting their tails. Ultimately nothing too special, but something that, executed well, could lend itself to some simple but addictive arcade-styled action. But sloppy hit detection, sluggish controls and ugly graphics quickly drag the concept down, turning it into an exercise in pure frustration that isn't worth anyone's time time, even as a momentary diversion. But when it's from the brilliant minds that brought us Master Chu and Little Red Hood, what else would you expect? And as a true testament to its quality, guess who published it? Yep, our old buddies at Bunch Games, aka Color Dreams aka Wisdom Tree.